Published: Nov. 29, 2015 at 09:23 p.m. 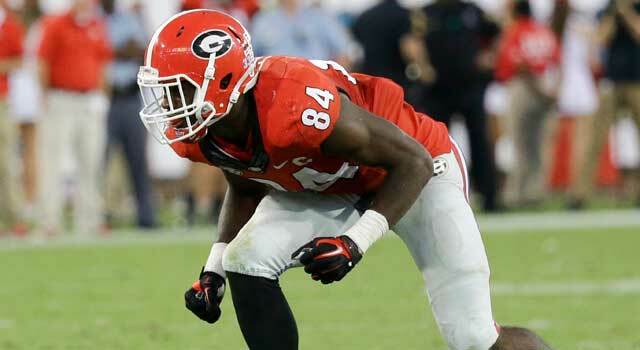 Updated: Nov. 29, 2015 at 09:31 p.m.
Leonard Floyd has accumulated 17 sacks during three seasons at Georgia. On the day Georgia announced it was parting ways with coach Mark Richt after 15 seasons, Georgia junior linebacker Leonard Floyd announced a parting of his own. Floyd does not plan to return to college next season, indicating to reporters that he will instead intents to apply for early entry into the 2016 NFL Draft. 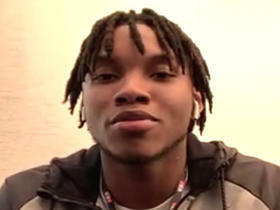 "I'm gone too, by the way," Floyd said, according to dawgnation.com. Floyd considered leaving Georgia as a third-year sophomore last season. He instead returned as a fourth-year junior in 2015, and Bulldogs defensive coordinator Jeremy Pruitt expanded his role from an edge pass rusher to a variety of positions, including some action at inside linebacker. Floyd's sack production was down as a result (4.5) but he led the team with 10.5 tackles for loss. At 6-4 and 231 pounds, Floyd has a long, angular frame that is well-suited for pass rushing. NFL Media analyst Lance Zierlein suggested that Floyd projects as an outside linebacker in a 3-4 defensive scheme in the NFL. Floyd ranked second on the Bulldogs' defense in tackles with 68, and led the team in quarterback hurries with 12.